Invaders #5 has all the hallmarks of a James Robinson story. What this means is that the action of the book is pushed into the background so we can focus upon the dialogue. This might sound counterproductive considering the aims of the average superhero comic but Robinson possesses a unique ability to create language that seems unlike anything we usually hear the characters involved saying yet still seems perfectly natural in spite of that. 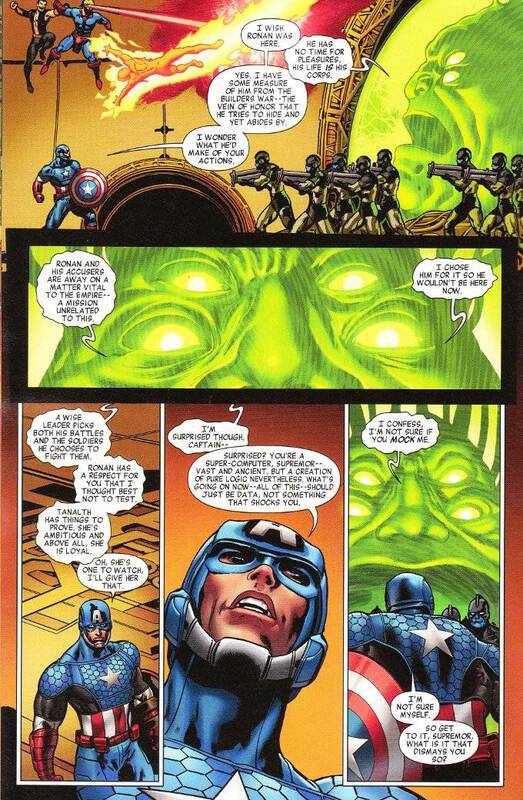 Consider the hilarious scene where Captain America trolls The Supreme Intelligence. Sarcasm usually comes as naturally to Steve Rogers as singing showtunes does to Batman. And yet, in this context, it works! Despite much of this book being taken up by talking-heads, artist Steve Pugh still gets a few good splash-pages here and there. Pugh is at his best when he has ample space to work with and doesn't have to worry about multiple word balloons. 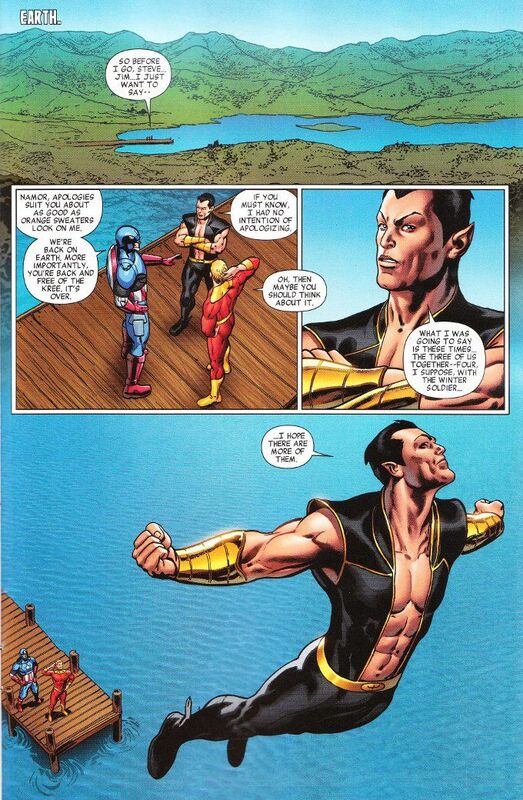 Yet even in the panels where the dialogue gets thick, Pugh's artwork still shines through.